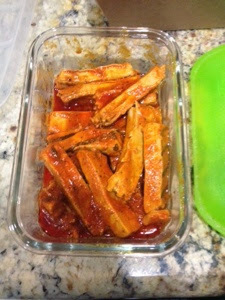 Being Gluten-Free Vegan: Beyond Meat Chicken "wings style"
I love Buffalo Wings! 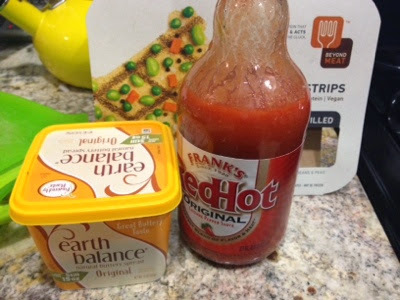 Spicy is my favorite and the mix of Frank's Red Hot and Butter (Earth Balance) is like a creamy hot sauce. 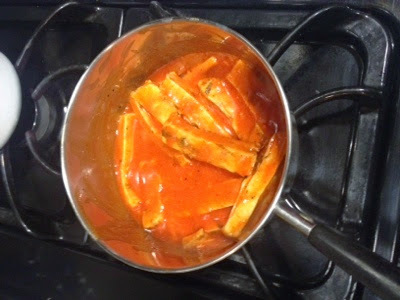 Using Beyond Meat Chicken i make the buffalo wing sauce- Franks and butter- then add the strips and let them boil till the chicken has absorbed enough sauce. 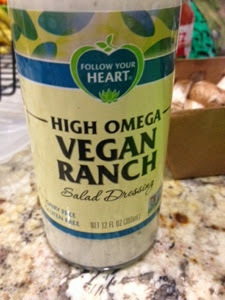 Put it in a dish and serve with Follow Your Heart Vegan Ranch. 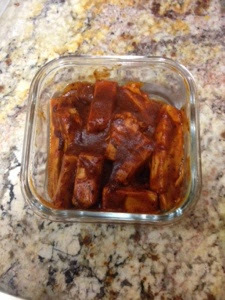 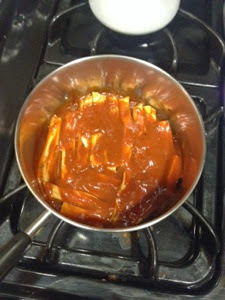 I also made BBQ strips by doing the same thing but with BBQ sauce.